In this paper, Bob Lyddon explores the various caveats and consequences of the Eurozone's survival and continuation, and discusses the UK's role in or alongside the Eurosystem post-Brexit. As an expert in international banking, Lyddon works through his own consultancy company, Lyddon Consulting Services, and has written for the Bruges Group on several occasions in the past.His areas of expertise include banking regulation, the sovereign debt crisis, and international money transfer and electronic banking. Lyddon argues that, contrary to the indications of UK Remainers, there has been no Eurozone economic recovery, and that the attempts to prop it up will have disastrous effects if followed through.The weak performance of the Eurozone is supported by exports to China, along with a huge cushion of monetary support from the Eurosystem of central banks.There are two yet unresolved underlying problems to the Eurozone that were exposed in the 2012-13 Eurozone crisis which prevent recovery: debts owned by the Periphery banking systems, and the over-indebtedness of their governments.These issues have been cloaked by the Eurosystem's actions under two headings: the ECB's (European Central Bank) quantitative easing programme known as APP (Asset Purchase Programmes), which is now reputed to total €2 trillion and the build-up of overnight loans between the National Central Banks of the Eurozone in the TARGET2 Euro payment system.These factors are closely linked to each other, as the transaction of a typical APP purchase leads to an increase in loans through TARGET2. 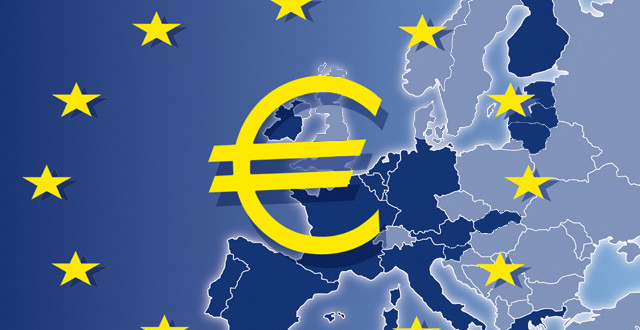 However, there are several reasons why the ECB's APP stimulus program is not infinitely sustainable.For one thing, there is a movement among central banks that stimulus programs should be minimised and economies made to stand on their own feet, as with America's own version of APP.Additionally, the UK's decision to leave the EU means that remaining member states will have to pay in more money to enable existing EU programs to enable them to continue.The EU Fiscal Stability Treaty affects the APP program's sustainability, as well as the clear divide in TARGET2 between lender NCBs (National Central Banks) and borrower NCBs, the failure of debts owed in several banking systems to decrease, and the Italian elections earlier this year. The lending since 2012 by the European Investment Bank and its offshoot, the European Fund for Strategic Investments, have fulfilled the same objectives as APP – to inject funds into the Eurozone economy.However, they have done little to create a foundation for economic growth, and are instead an example of borrow-and-spend. Bonds of Eurozone member state governments that carry a long-term rating from Standard&Poors between A+ and BBB+, meaning they are of "investment grade"
The backing is notional rather than legal, and investors buy into the terms of a series, which is determined within a typical creditor ladder.The current plan is to issue €1.5 trillion of SBBS, which would infer that the Special Purpose Issuing Entity buys about 15% of all Eurozone member state debt currently in issue.The idea of SBBS is to solve the TARGET2 imbalances before debt mutualisation can occur, but in order to make that happen, the lender countries would have to agree to issue more debt themselves so as to meet the SBBS proportions, pay the cash proceeds to the borrower NCBs to secure their TARGET2 debts.However, if SBBS could eliminate APP, it would also greatly reduce the TARGET2 imbalances, because they are intimately interconnected. Lyddon details and elaborates on the effects of these factors in his research, and argues that the six aforementioned factors culminate in a crisis for the Eurozone. In response, there is an ongoing programme for a "banking union," which includes stricter regulatory measures.On top of this, there has been talk of a proposal for a EU-wide Deposit Insurance Scheme which could result in German taxpayers reimbursing depositors in failed Italian banks.Another suggested response to the crisis is the creation and issue of €1.5 trillion of the so-called Sovereign Bond-Backed Securities, which is approximately the amount of the TARGET2 imbalances. From these potential solutions originates the idea of centralisation of the Euro.Steps to make that happen have already happened and are in the works, and implicate a completed nation state with one set of taxpayers responsible for the debts of the state and subdivisions of it, backing a single lifeboat fund for depositors into any bank in that state.It would take those drastic measures to rescue and stabalise the Eurozone. The other possible path out of the crisis, Lyddon argues, is the abandonment of this "burning platform. "The UK's path to get as far away as possible from the impending explosion of the Eurosystem is rational, though the team negotiating the terms of Brexit and the transition seems not to appreciate the bind that the Eurozone is in and the extreme dangers of remaining associated with the arrangement. The UK's exit from the EU has several notable implications on these structures.Following Brexit, the UK will cease its contributions into the "Payments Appropriation" portion of the EU budget, it will no longer be one of the guarantors for the obligations created by the EU under the "Commitments Appropriation" of the EU budget, and the UK will cease to have a risk on its capital in the ECB and EIB and will have its paid-in capital reimbursed.To set against this, no UK borrower will be able to access funds as a member state from the EIB or access funds from the EFSI at all.Consequently, EU member states will have to increase their cash contributions into the "Payments Appropriation" portion of the EU budget and will have to be willing to take more risk under the "Commitments Appropriation" of the budget.Given all the other claims on their financial resources, that is going to be a tall order for the other EU member states. Lyddon's research ultimately concludes that the promises of the euro have not been delivered and that the consolidation and centralisation of the single currency and the EU is inevitable.The UK population voted to get off that bus, and all that remains to be seen is whether the Brexit deal will result in a prolongation of the one foot on/one foot off arrangement, or if it will be the clean break that the people asked for. 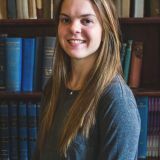 Isabel Brooke studies politics, philosophy, and religion at Ithaca College in the United States. In addition to studying while she is in London until May 2018, Isabel is working with the Bruges Group and for Dan Helmer's congressional campaign in the States.